The news of “Frozen” characters being added to ABC’s hit “Once Upon a Time” surprised fans in the show’s recent season finale. Now TV Line is reporting two of its starring roles have been cast. 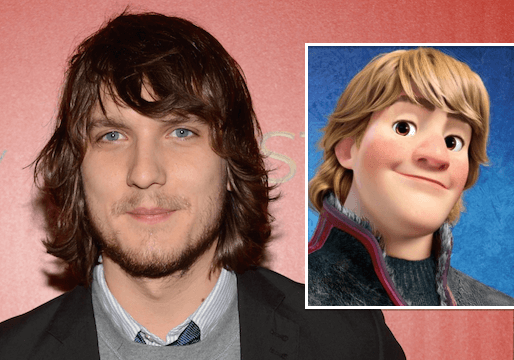 Elizabeth Lail will play Anna and Scott Michael Foster is set to play Kristoff. Elsa has not yet been cast. Visit TV Line to read more about these actors. If the Elsa at Magic Kingdom in Fairytale Princess Hall can act, she’d be an awesome Elsa. She was a dead ringer for her! I’ve never seen one look so much alike! I totally agree. We were there on the 24th and she was amazing! Totally left me & my daughter’s speechless! Is this the one that just started like a week ago or so? Anna Faith Carlson from Daytona Beach Florida was at Star Wars Weekends at the Disney Hollywood Studios dressed as Elsa along with her sister as Anna. They both look great as the sisters. 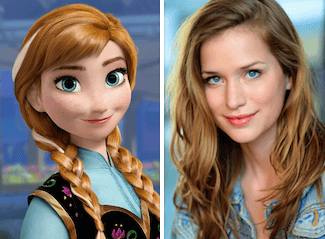 Anna has been trying to get the role as Elsa. It would be great to see her get it. When I saw her standing watching the parade, I thought she worked for Disney. I later realized she did not and saw a news story about her. I hope she gets the role and it helps start her career.